Spring is here! 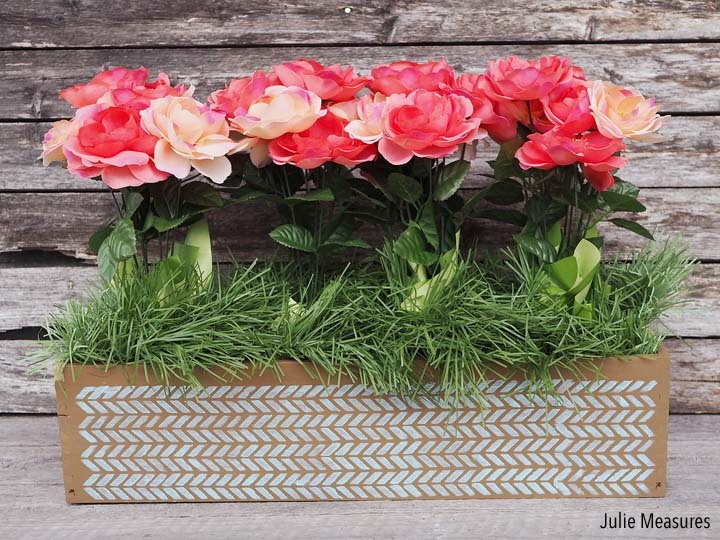 This year make your own DIY Planter Box and smell the flowers all season! One of the best things about Texas is the wildflowers in the spring! While bluebonnets dominate the sides of the highway near where I live, there are dozens of different types of wildflowers that spring up all over. Taking photos of the wildflowers, specifically the bluebonnets, is a big tradition here. There is definitely a ‘prime’ bluebonnet photo time-frame and it doesn’t last long. Friends talking about the best spots for photos become a main topic of conversation and everyone shares their photo taking tips. So when spring arrives, if you have allergies, you can’t stay inside and miss the wildflowers. Instead we rely on Children’s Claritin® from Walmart to keep our family going. Children’s Claritin® provides 24 hour relief of runny nose, itchy, watery eyes, and itchy nose or throat. Plus Children’s Claritin® is the #1 Pediatrician Recommended Non-Drowsy Oral Allergy Brand. Children’s Claritin® is for use on children ages 2+. Of course we don’t just enjoy the flowers outdoors in the spring, I want to have flowers indoors as well. 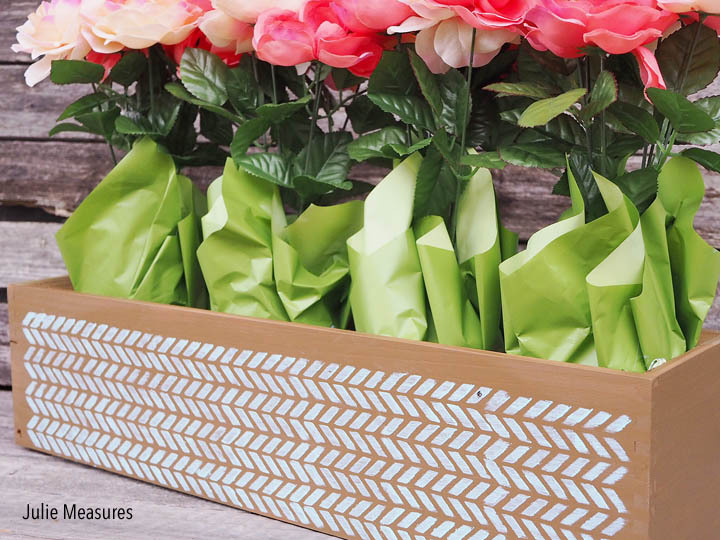 So I’m making a DIY planter box for enjoying the flowers all spring long thanks to Children’s Claritin®. I started with a pre-made wooden box, but one that was unfinished. The one that I got is a bit longer and will look great running down the center of a dining room table. 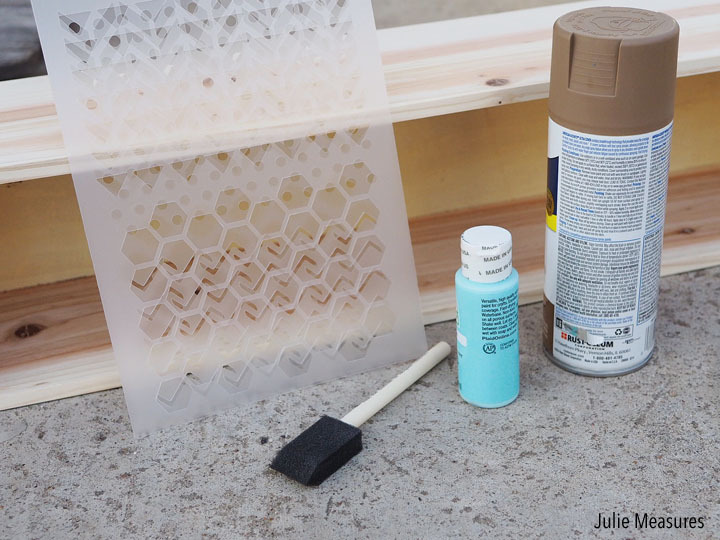 I started by spray painting my box with a light brown, technically ‘nutmeg’, color. I sprayed in coats according to the directions on the label, and allowed the paint to dry in between layers. 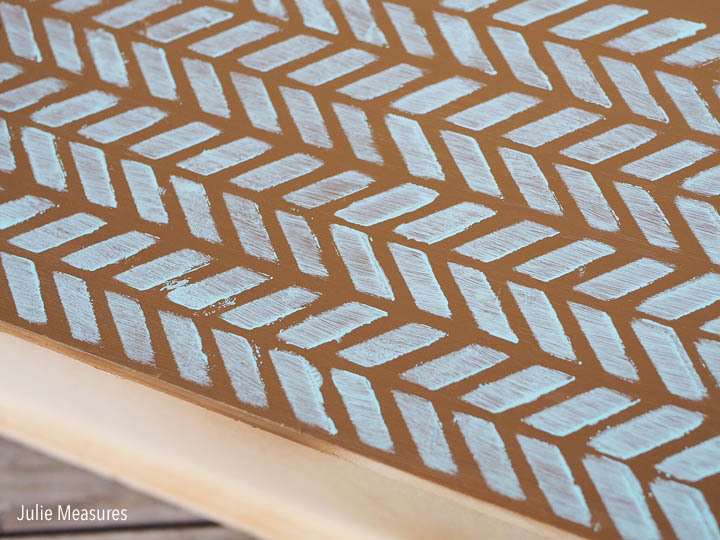 Once the brown base color was fully dried I stenciled on my ‘cloudless’ blue details. I went with a chevron stencil but held the stencil sideways to make sort of arrow shapes. I did both of the longer sides of my planter box, but I didn’t do the shorter ends. Once my planter box was painted I could add my flowers. Because this is a wooden planter box, rather than putting soil in the box and planting directly in it I’m using potted plants. 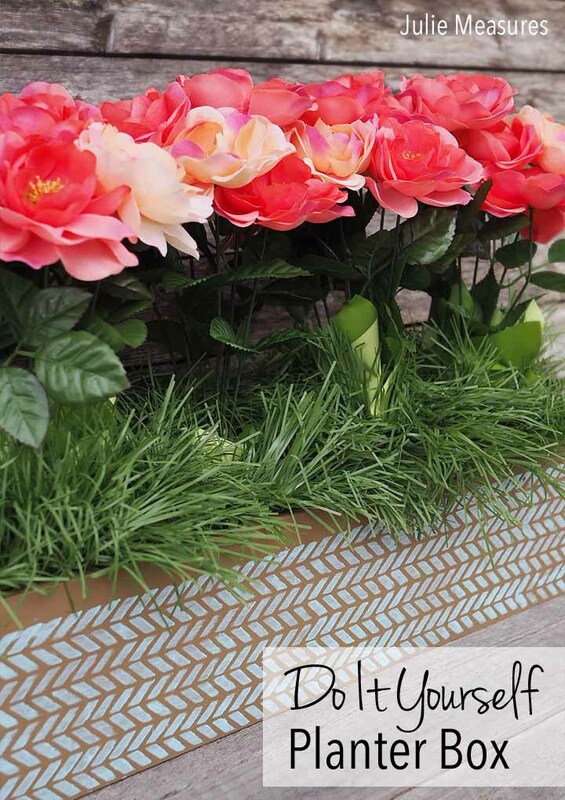 Then my planter box can be used indoors as a centerpiece. 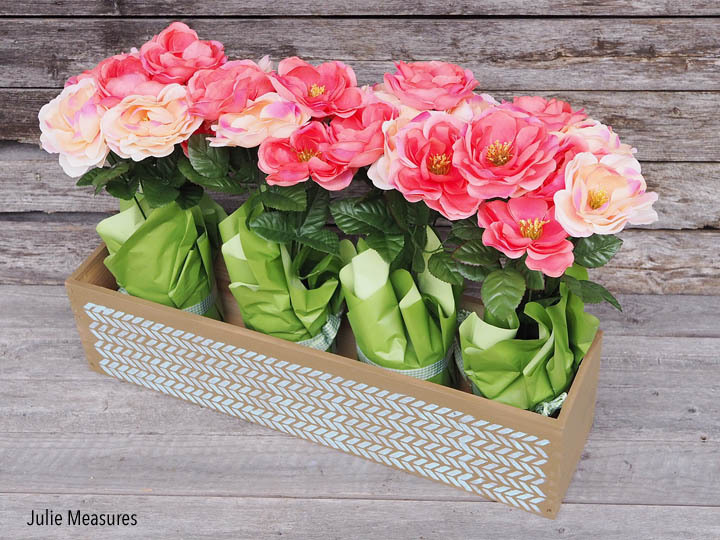 If you’re really sensitive to plant-based allergens, you can even opt to plant some allergy-friendly flowers, such as begonias, cacti, geraniums, irises, lilies, pansies, and tulips. I picked up 4 of the same potted flowers to put into my planter box and they fit perfectly. 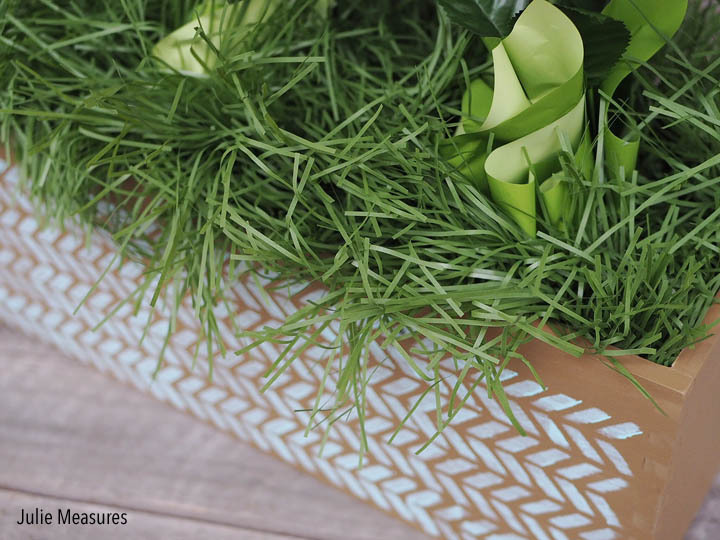 I also got some faux green garland that I wrapped around the base of the plants to give a grassy look to my planter box. I love how the flowers look like they are growing up through the grass! 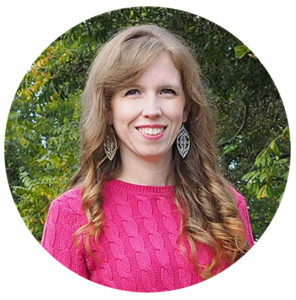 The Smart Allergy Mom Toolkit®, by the makers of Children’s Claritin®, is an online resource to help moms understand and manage their kids’ allergies. And there are a variety of Children’s Claritin® options at Walmart! We all know that different kids do better with different options. You can choose from Claritin RediTabs® for Juniors with orally dissolvable tablets that melt in your mouth, Children’s Claritin® Syrup, or Children’s Claritin® Chewables that are available in both grape and bubble gum flavor. 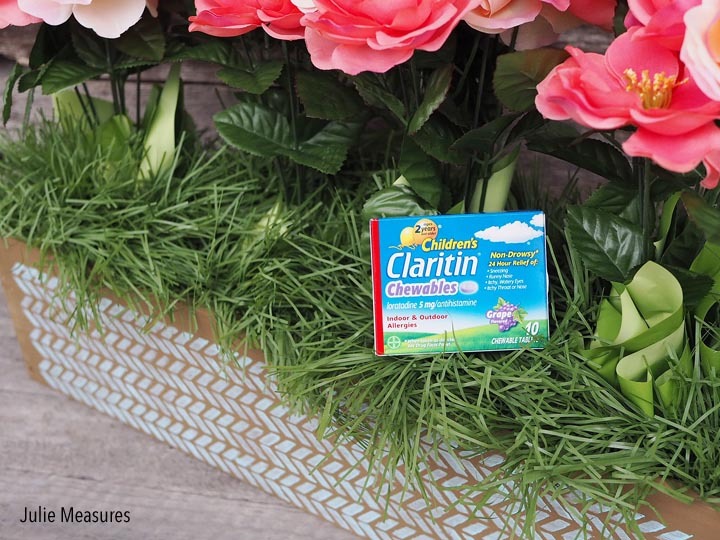 This spring you can visit the Smart Allergy Mom Toolkit® website for coupon for $3 off Children’s Claritin®, so you can pick up some on your next trip to Walmart! This spring we are planning to smell the flowers! And I’ll be taking plenty of wildflower photos all season long.